PULLMAN — Why is Kamie Ethridge in Pullman, trying to build a successful Washington State women’s basketball program, something no one else has been able to do? It’s because her boss sold her on the job. The challenge is immense. Washington State has not had a winning conference record since the 1990-91 season, and just two winning seasons in the past 22 seasons. The Cougars were twice 17-15 under June Daugherty, who was let go after last season, her 10th as WSU’s coach. But their new coach is used to winning. As a senior point guard at Texas, she led the Longhorns to a 34-0 record and the national title, the first NCAA Division I women’s team to finish a season undefeated. Ethridge, 5 feet 5, was named the national player of the year and then led the U.S. team to Olympic gold two years later. 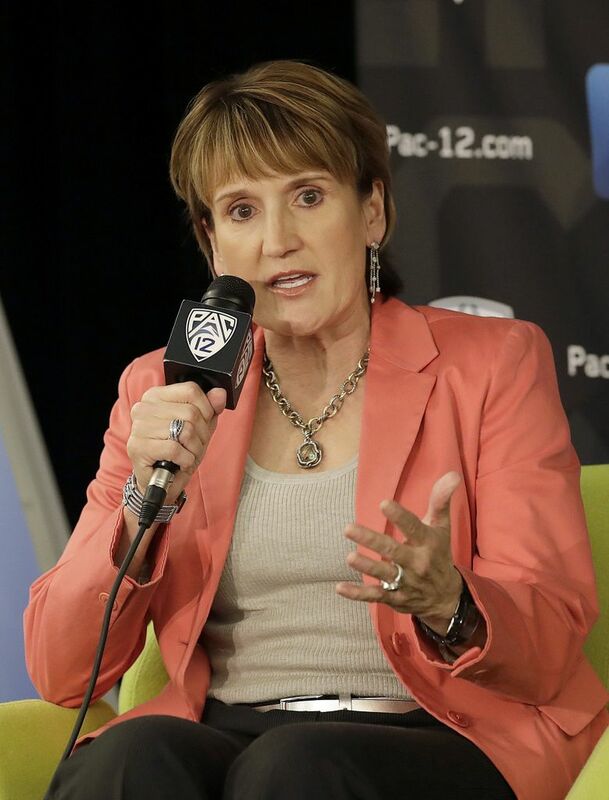 She began working as an assistant basketball coach in 1987 and began working her way up the college ranks before landing the job as an assistant at Kansas State under coach Deb Patterson in 1996 and soon become the associate head coach. Ethridge stayed for 18 years. When Patterson was let go at Kansas State after the 2014 season, Ethridge realized if she wanted to become a head coach at a major program, she would first need to become a coach at a mid-major. She got that chance at Northern Colorado, leading the Bears to an 83-44 record in four seasons. The Bears were 26-7 last season and earned their first trip to the NCAA tournament. The time was right for Ethridge to move to a Power 5 conference. She inherited a team coming off a very disappointing 10-20 season when much bigger things were expected. But Daugherty missed part of the season with health issues, and there were issues among players. Those issues, however, appear to be in the past, and there is talent for Ethridge to work with as the top three scorers from last season are back, including 6-foot junior Borislava Hristova, the team’s leading scorer last season at 17.8 points per game. “She is as talented as anyone in the country,” Ethridge said. Also back are senior guard Alexys Swedlund, who averaged 9.9 points last season and junior point guard Chanelle Molina, who averaged 7.7 points and a team-best 2.9 assists. On Ethridge’s flight to her introductory news conference as WSU’s coach, she got an email from Hristova, signed by the entire team. The biggest issues facing WSU appear to be depth and on the inside, where there is not a lot of height other than returning starter Maria Kostourkova, a 6-4 senior center. Ethridge wants the Cougars to play an up-tempo style and shoot a lot of three-pointers. She said the team will be competitive, but isn’t setting any particular number goals. “We can’t always control if the ball goes in the basket, we can’t always control if we’re better than maybe a top-five Oregon or a top-two Stanford, but what we can control is we walked in and we played our guts out. We played as hard as we could and we got better,” she said. Ethridge is convinced that will happen. “I don’t have any doubts we can be successful here,” she said.